The Monash Cardiovascular Research Centre (MCRC) is a self-funding, independent research group within the Faculty of Medicine, Nursing and Health Sciences at Monash University (through the School of Clinical Sciences at Monash Health and Departments of Medicine and Surgery, Monash Medical Centre). We are formally recognised as the cardiovascular research arm of MonashHEART, Monash Health and Monash University. The Centre has an international reputation for excellence and achievement in basic and translational research, supporting the uptake of state-of-the-art cardiovascular treatments into clinical service. We offer daily clinical educational sessions, along with research meetings with all key MonashHeart clinical service groups. Find out more about MCRC. 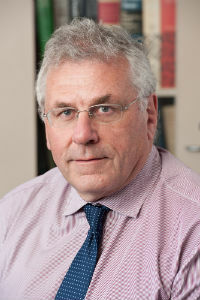 Professor James (Jim) Cameron isDirector of the Monash Cardiovascular Research Centre and maintains a senior medical staff appointment with MonashHeart and in the private sector at Epworth Hospital with Epworth Health Care. In 2007 Jim was appointed to the position of Associate Director (Research & Education) of MonashHeart and in the same year took a chair in biomedical engineering at La Trobe University. Professor Jim Cameron is internationally reknowned for work on large, conduit artery function and mechanics, their influence on mechanisms of disease and their role in risk-assessment and the identification of pre-clinical states. His work provided some of the first evidence that arterial function is modifiable and therefore a therapeutic target. Find out more about Professor James Cameron. Meet the Monash Cardiovascular Research team. MCRC has a major ongoing commitment to cardiovascular research. Find out more about our research. Read and access our key publications and papers. Research projects are available in several areas, including echocardiography, CT coronary imaging and the genetic disease, familial hypercholesterolaemia. Find out more about current fellowship and higher degrees with the Monash Cardiovascular Research Centre, as well as available research projects (Honours, Masters, PhD) with the School of Clinical Sciences. MonashHeart offers one cardiac CT course each year on site at Monash Medical Centre on the Toshiba 320-slice Aquilion One CT scanner. MonashHeart provides a number of cardiac CT 'mini fellowships' options including 25 or 50 live/library cases. This enables achievement of level A or level B specialist training or re-accreditation requirements as required for conjoint committee recognition of training in CT coronary angiography. Find out more about MonashHeart cardiac courses. For more information about MonasHeart and the Monash Cardiovascular Research Centre please contact us.